New Basketball shoes are being released every day, but it’s the unique ones that matter the most. The unique shoes are the ones that stand out and make people from all over the world want to own them. Most of us and the sport fans know the famous basketball player who plays for The Miami Heat, LeBron James. 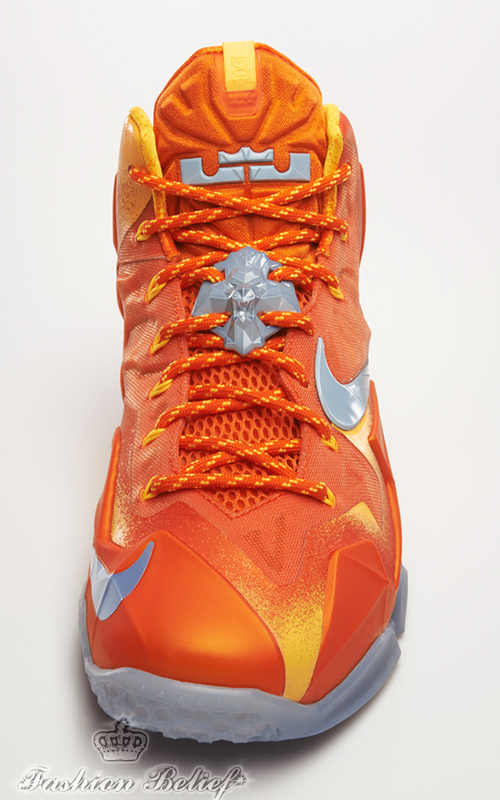 He has released several types and designs of basketball shoes, but the latest ones, which will be released on 14th November are called the LEBRON 11 ’FORGING IRON’. Nike produces these shoes with a special design. Nike pays tribute to the process that forms iron with the shoes color way. Its unique blend of colors is taken from the molten metal’s metamorphosis. The fiery shades of orange represent the iron when the metal is at its most malleable—fresh from the furnace. A delicate fade on the shoes represents sparks, while a metallic green hit on the Swoosh represents the transitional, temporary part of the process – cooling to a new shade and finished with an ice outsole on the shoes. There are no shortcuts to the forging iron shoes. It’s a craft, a skilled process that requires a precise application of force and fire to achieve strength. The shoes will be available globally on Nike.com in November. The shoes have a unique design and we are sure that most Basketball players and not only, would like to get their hands on them. 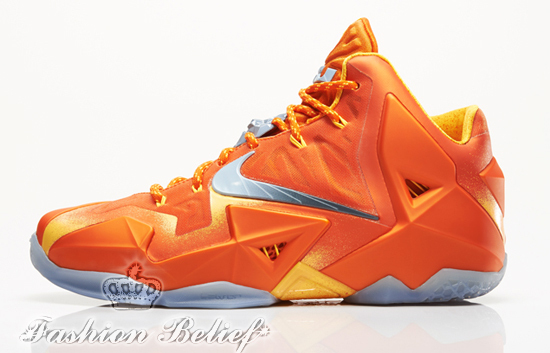 These particular shoes are the 11th release of shoes Nike and LeBron James have come together to produce. You can even get a customized pair with your name and different colors by visiting their website. 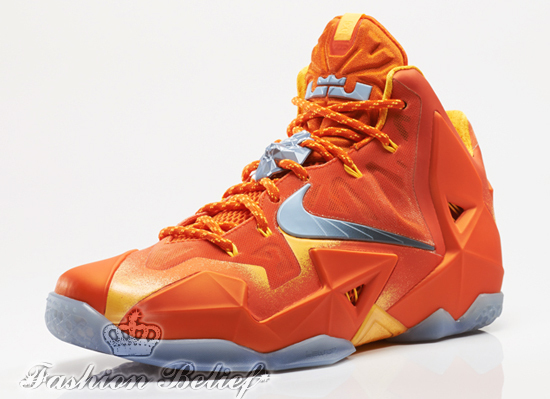 The cost of the shoes will be $250 which is 50$ more than his previous pair. We can all see why the shoes cost more though, more money for better quality shoes.